We’re all marching towards the grave at different speeds, and since we’re all created in the image of God, each of us will continue to exist forever. The question is, “Where will you spend it?” and “What words will you hear when you stand before God at The Great White Throne Judgment?” Will it be, “Well done thou good and faithful servant, enter the joy of your Master” or will you hear the heavenly host repeatedly murmur, “Who’s that with Jesus?” whereupon you will be cast into the Lake of Fire? 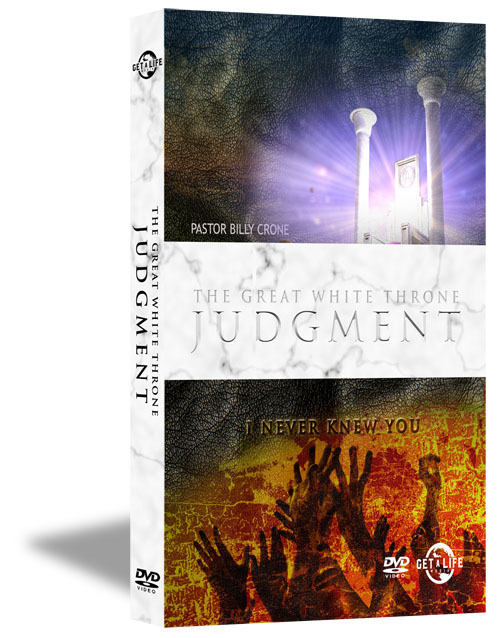 Therefore, this study, “The Great White Throne Judgment” reveals the two destinies that all people are headed for that is clearly outlined for us in the Bible. It’s either the narrow road, which is a personal relationship with Jesus Christ that leads to life and only a few people find. Or it’s the wide road, the politically correct easy road that says all paths lead to heaven, but actually leads to destruction that many people are on. Which will it be and what will you hear when, not if, your time comes? Please cry out to Jesus today and ask Him to forgive you of all your sins, because the last thing you will ever want to hear is, “Who’s that with Jesus?” because by then it will be too late!